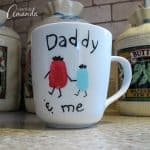 Need a fun and unique kids craft idea for Father’s Day or Mother’s Day? How about a cell phone selfie? 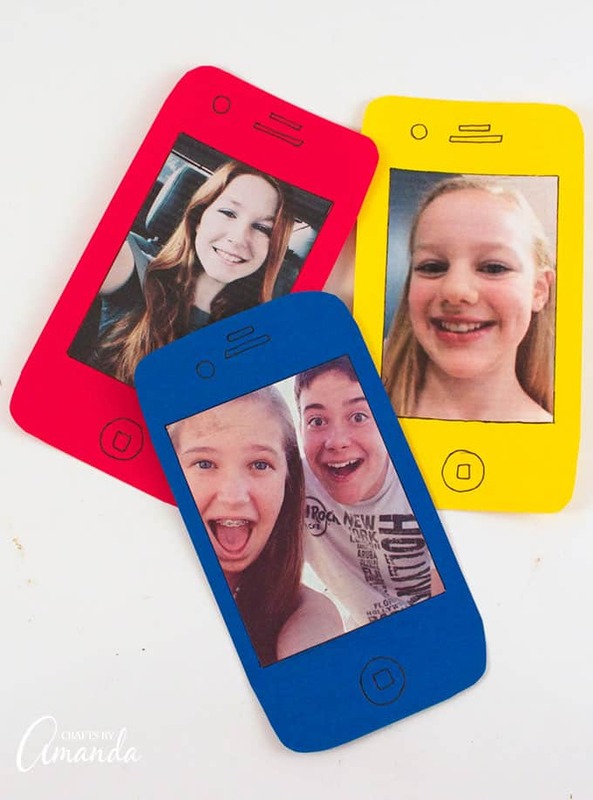 Kids of all ages are carrying cell phones these days and they are the kings and queens of #selfies! 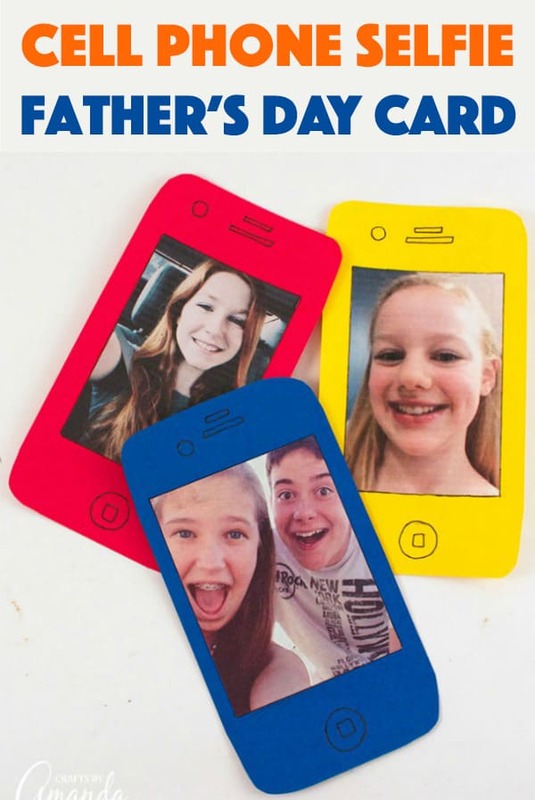 Make a card shaped like a phone and attach a selfie from your child to their mom or dad. 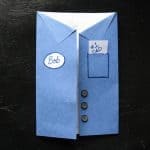 So many Father’s Day and Mother’s Day crafts are geared toward the younger set, leaving tweens and teens having to buy a card. 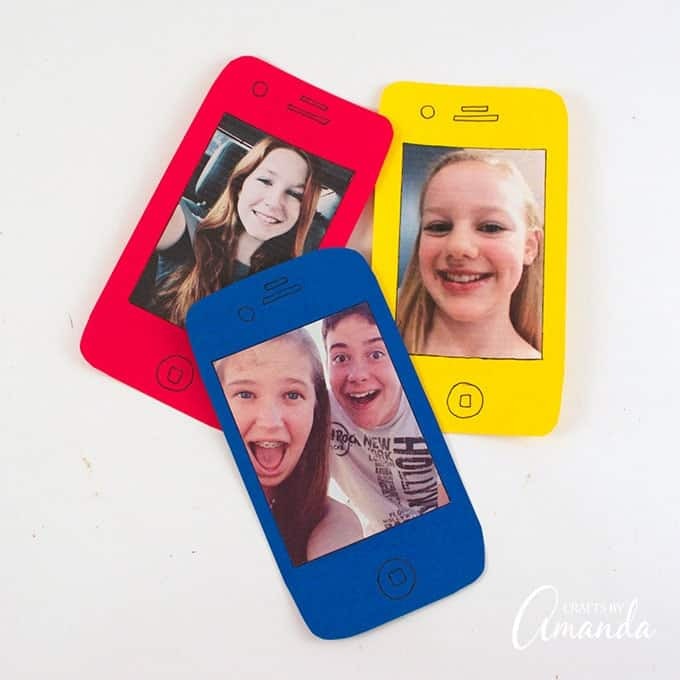 Instead, your older kids can have a little fun with this cell phone selfie card, making funny faces or taking their best selfie for mom or dad to remember forever! Simply cut the cardstock into a rectangle about the same size as a cell phone. You can use your own phone as a guide to draw on any buttons or controls with a pencil. Round the edges of the rectangle with scissors. Trim your photo to fit the area on the front of the card and cover the back completely with the glue stick. Stick it to the front of the card. Use a fine point marker to trace around the photo to give it a border and to trace around any controls or buttons. Special thanks go out to Kendell Stroud and Tanner Bell of Little Craft in Your Day, as well as Kyra Chiappini and Jessica Langelier for sharing their selfies with me! 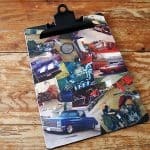 Find more Father’s Day gift ideas below! Cut cardstock into a rectangle about the same size as a cell phone. You can use your own phone as a guide to draw on any buttons or controls with a pencil. Round the edges of the rectangle with scissors. Write your message on the back. Something like: "I can't stop my #selfie from thinking you're the greatest DAD!" This post was originally published on this blog on May 23, 2014.